Recipients of 832 transactions can integrate the data directly into their business software. The information provided in an 832, such as minimum order quantities, case-pack quantities, etc., can then be used in the order process. The 832 is used by sellers for providing the full catalog of their products and pricing. Other transactions are used for providing information and updates on individual products. For example, the 888 Item Maintenance transaction is used to update attribute information other than pricing on individual products. 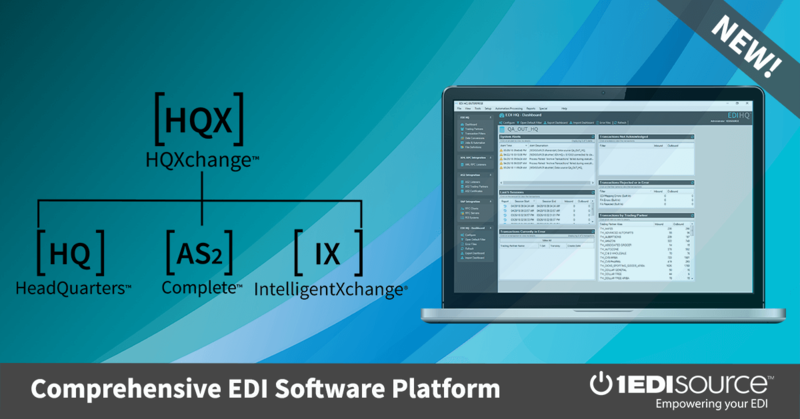 If your organization exchanges a high volume of document-based files with trading partners, 1 EDI Source can help. With our Managed File Transfer (MFT) services, you get a secure, reliable approach to exchanging files, and 1 EDI Source handles all of the connections and security issues. Talk to 1 EDI Source about developing a customized program to manage your file transfer needs. This X12 Transaction Set contains the format and establishes the data contents of the Price/Sales Catalog Transaction Set (832) for use within the context of an Electronic Data Interchange (EDI) environment. The transaction set can be used to provide for customary and established business and industry practice relative to furnishing or requesting the price of goods or services in the form of a catalog.